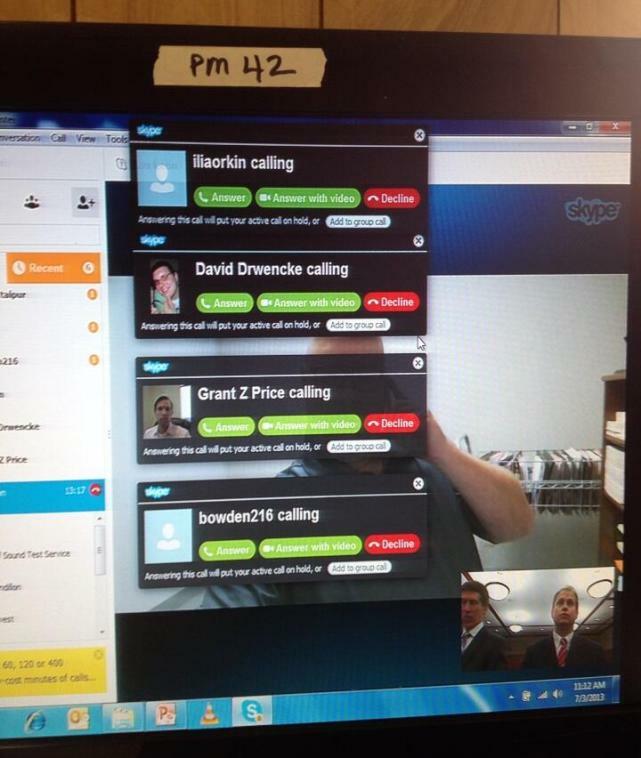 Witness testifies via Skype in live televised trial: what could possibly go wrong? In the end, an annoyed Judge Debra Nelson brought an end to the call, with Pleasants’ continuing his testimony via good old fashioned speaker phone. The (very funny) video of the incident is below. Of course, the whole thing could have been avoided if someone had instructed Pleasants to turn off contact from people beyond his Skype account’s contact list.